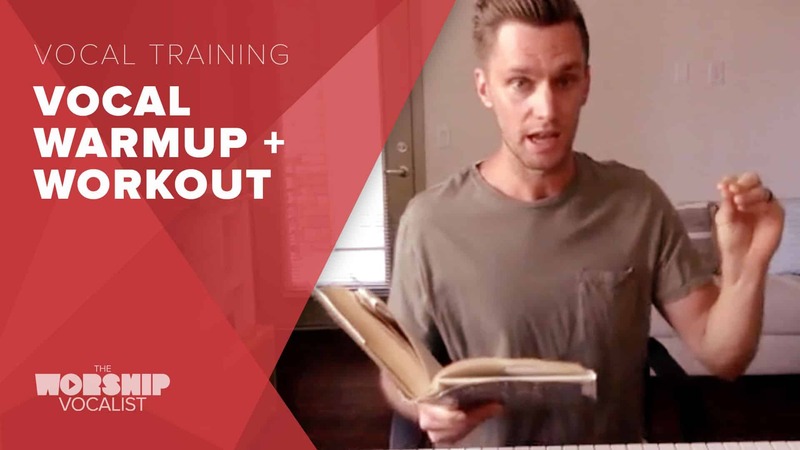 Check out this vocal warmup with special guest vocal coach Tyler Wysong! Tyler’s a friend of ours as well as an amazing vocal coach, and has tons of experience worship leading and coaching singers just like you! Especially if you’re singing on your worship team this weekend, try this out on Saturday and Sunday morning to make your voice feel amazing! 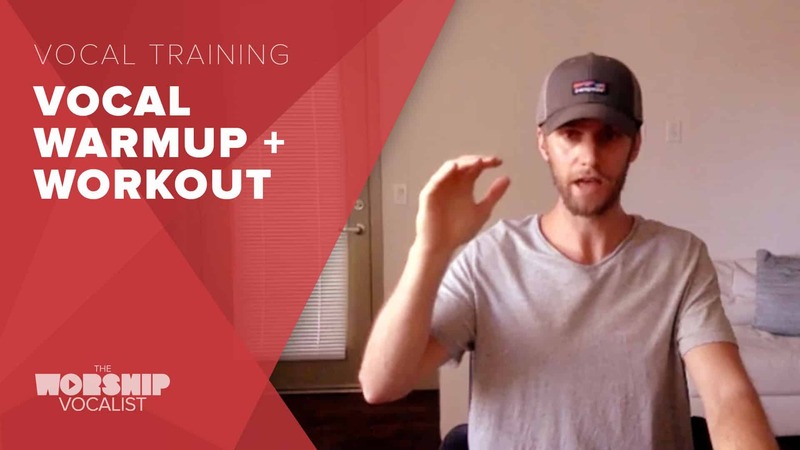 These warmup exercises are designed to release tension and pressure from your vocal cords as you ease your voice into the day, so that your voice won’t feel fatigued! I feel a lot of throat tension when doing these where I feel a scratchiness in my throat. It’s very important when you’re exercising your voice that you stop if you feel throat tension. Take a break, take it easier on the voice, and do the exercises lighter (as light as you need to) and more relaxed, even if it seems much less powerful at first. Power will come when the voice is relaxed and free… we can’t force our way into it! If the scratchy throat feeling is happening a lot (which, it seems like it is, based on your comments on other videos/lessons), I would strongly encourage you to really take a look at multiple areas — health/nutrition/hydration/warmups/vocal exercise/stress, etc — and assess what factors could be the cause of the constant scratchiness and tension when you sing. Ex, asking yourself questions… aim I eating healthy? Hydrating enough? Are stressful life situations affecting my singing? Am I pushing my voice into a higher range than feels comfortable? Have I built all my vocal foundations solid? Am I warming up my voice before heading into challenging exercises? Etc… hope that helps! Thank you. That was awesome. Just when I think I’ve plateaued (or worse, I start coasting), something else comes along to push me to the next level. Glad you enjoyed the workout! Hi! First time doing this warm-up video and I just wanted to know what the fix is if you feel the muscles push down under your chin when you do high notes? I don’t feel it every time but would love to know how to correct it! Hey! I’ll actually be covering this exact thing (what to do when the larynx / swallowing muscles tense up) in my upcoming “Master Your Voice” lesson on “Getting Rid of Tension”, so stay tuned for that. It’ll be much easier to understand when you watch the video than if I try to explain fully here! But in the meantime, when you feel them tensing up, just use your thumb and press gently on those swallowing muscles… this encourages them to relax! NIce! Can you please explain the ‘hand exercise ‘in more detail? I loved how it felt but i am not sure if i did it correctly. Must i closed my mouth or open my mouth against my hand? And the vowel : Uh – Vuh? Or what vowel did you use? Great questions! 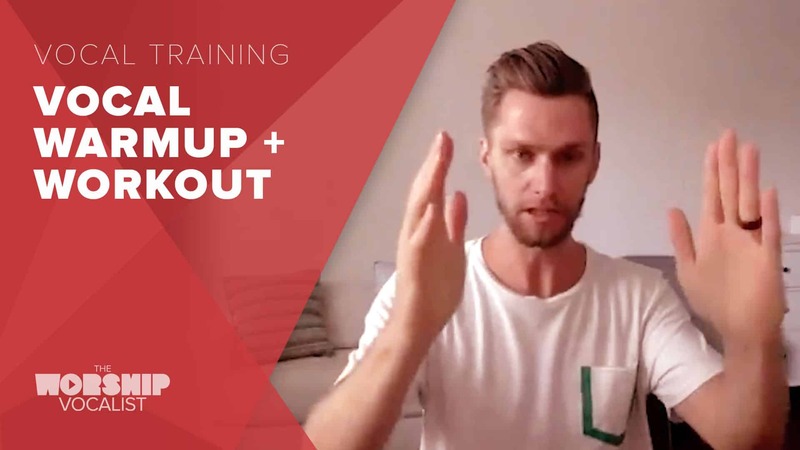 Basically it’s one of several exercises that help to relax the voice and remove tension from the vocal cords while building/strengthening the connection between chest and head voice. 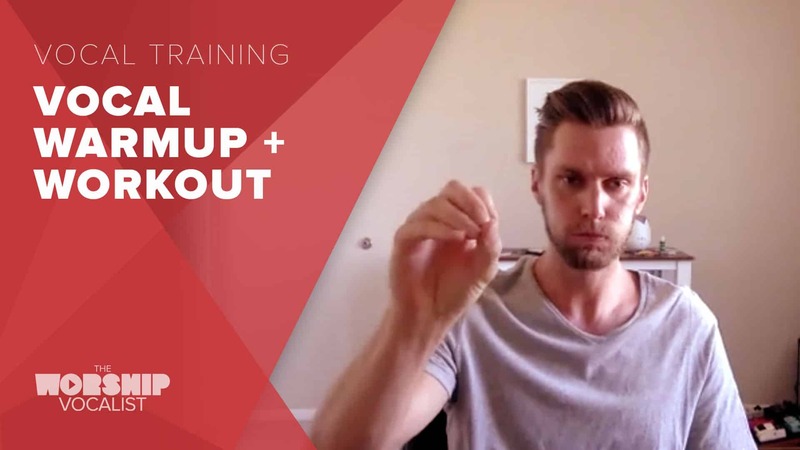 Similar to the lip roll and the “puffy cheek” exercises, we’re not letting extra air/tone out of the mouth… but by keeping the pressure inside the mouth, it’s taking pressure OFF the vocal cords. As Tyler says… we’re creating a sort of “back pressure”. Seems strange I know, but it works! When I do it I’m feeling a slightly open-mouth, dopey UH (the lips can’t be closed, otherwise it doesn’t work properly for this one), and the hand is completely covering the mouth. cool….first time i did this!